While 2016 was the year of “connect the unconnected,” 2017 will be about using smart and connected things to deliver more value and less hype. At the CES 2017 show in early January, lots of people were making predictions for the year ahead — everything from drones in the air to self-driving cars on the ground. Various people asked me what I see in my crystal ball as the next big technology game-changers for 2017. While I’m sorry to say I have no crystal ball, I do have a pretty good sense of where smart and connected things are going, having been living and breathing this amazing transformation every day in the Internet of Things Group at Intel. Let’s look at how my predictions will shape the year ahead. 1. AI will enable the shift from “reacting” to “predicting” events. In 2016, people spent a lot of time connecting the unconnected to access, share and analyze data. In 2017, the focus will shift from using data to “react” to events to now using data with AI cognitive analytics to “predict” events. Specifically, we’ll see AI technologies, such as machine learning and computer vision, used for more self-learning, autonomous applications. AI will continue to be used for automated driving capabilities like self-parking and lane assist, and will increasingly be incorporated into more highly automated features for higher levels of self-driving ( L3, L4 and L5 per the levels defined by the Society of Automotive Engineers). As evidence, Amazon’s Alexa will soon be in some cars, but there will be other AI choices too. For more on this topic, see my post Paving a Clear Road to Highly Automated Vehicles. AI will be used to improve security for smart and connected devices. 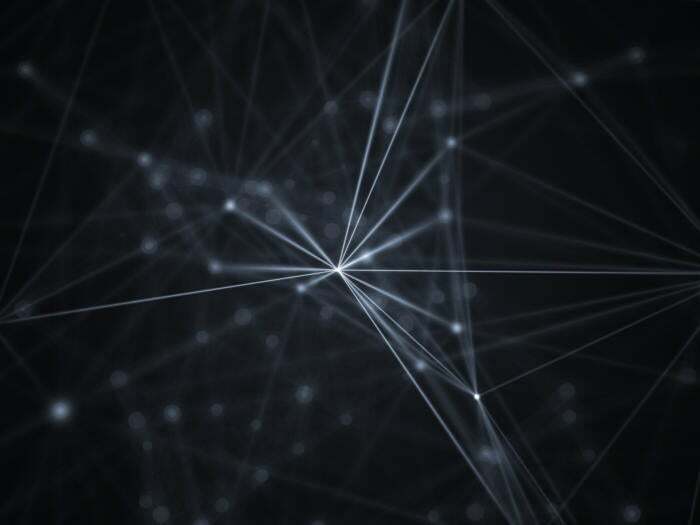 It will help us know if a connected device is a trusted device that belongs on the network, and it will help us address the problem we saw with the October 2016 DDoS attack on Dyn that disrupted Internet services at many popular websites. AI will also be used to improve credit card and payment fraud detection, helping to protect us from the evolving threat landscape. AI will make our connected industrial devices smarter. We’ll use machine learning to send data from tools, equipment, robots and more to business intelligence systems to better monitor industrial processes and enable predictive maintenance for improved efficiencies. AI and computer vision will be used for enhanced retail shopping, such as eliminating the checkout line (a la Amazon Go), optimizing inventory stocking to ensure that the right products are on the shelf, and enabling the product to be delivered to you wherever you may be – at your desk, on your bike or in the field. AI is what enables the autonomy of smart and connected things. Here’s the bottom line for AI in 2017: “cognitive” is the new smart. 2. AR/VR/MR will go mainstream. AR/VR/MR is no longer just for gamers! It’s going mainstream. In 2017, AR, VR and MR technology will be used to merge the digital world with the physical world in gaming as well as in many other industries, including sports, entertainment, travel and beyond. It will even be used in industrial applications for usages such as improved work safety. For example, as part of the CES events, Intel streamed a “live” NCAA basketball game, Butler playing Villanova, and you felt like you were in the arena. You controlled the experience and the visuals in the “live” game in real time, even though that game was several states away! Also at CES, we saw AR/VR/MR being used to provide a full 360-degree remote view of an industrial inspection of a solar panel farm. This demonstration showed us that AR/VR/MR can help us provide better worker safety by not having to put workers at risk on site to get the job done. With AR/VR/MR, our lives and our work will no longer be bound by two-dimensional constraints; instead we will enjoy 3D experiences and 3D collaboration wherever we are. 3. 5G will hit the road running. We’ll see 5G network technologies in action in 2017, both on the road in self-driving car trials using pre-standard 5G technologies to accelerate testing, as well as in Smart Cities with a variety of use-case trials. Although the production 5G networks are still a few years out, it’s exciting to see this technology moving forward. While today’s 4G speeds are measured in megabits per second, tomorrow’s 5G speeds will be measured in gigabits per second. 4. We’ll see broader adoption of blockchain technology. The blockchain technology used for bitcoin transactions is becoming the new database for the Internet, serving as the public record where transactions are recorded securely and confirmed anonymously. In the year ahead, blockchain will start to be used more widely in other applications, such as business-to-business payments by credit card companies and merchants, supply chain payments and for B2B contracts. By early next year, Wall Street firms say they will be using blockchain technology to upgrade the handling of payments and record-keeping for credit-default swaps. AI made “cognitive” the new “smart. 5G hit the road in pre-standard trials. Blockchain started to be more broadly adopted. It’s going to be an exciting year. A year with more deployments in real-life uses of smart and connected technologies. So, gear up, connect up and buckle up. Here we go! Bridget Karlin is the managing director of the Internet of Things Group at Intel Corporation.